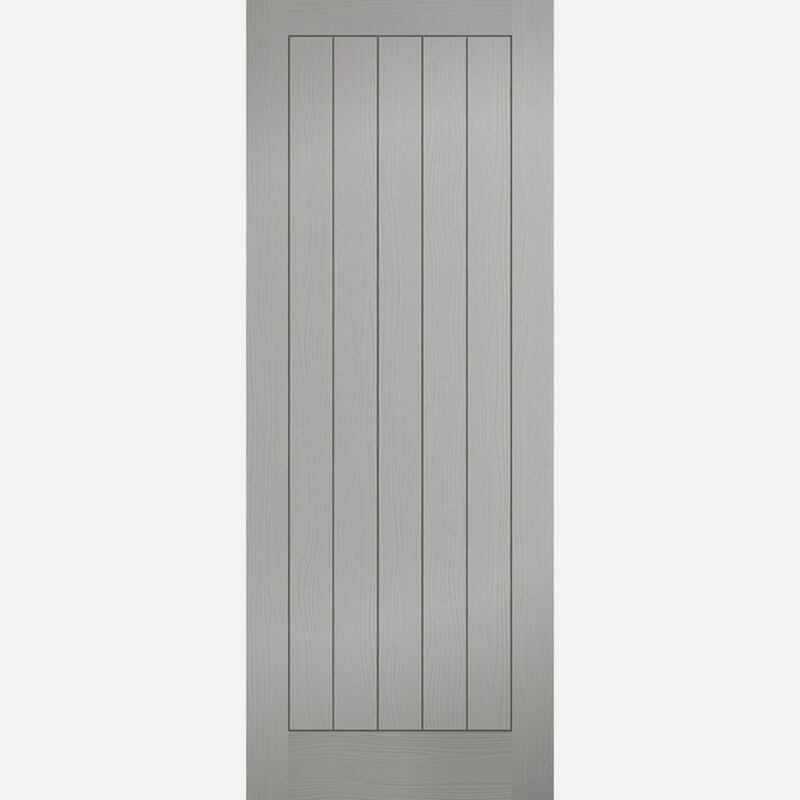 A wonderful addition to cottage properties, this composite fire door features five vertical grooved panels and a versatile grey finish. LPD Textured 5-Panel Grey Moulded Fire Doors have clean, simple lines making them ideally suited to complementing most interior decor schemes. Even allowing for the fact that that these are undeniably budget priced doors, we guarantee you'll be wholly impressed by their quality in comparison to most competitors doors on the market. Grey Moulded Textured 5P Fire Door Codes - FCTEXV5P27GREY - FCTEXV5P30GREY - FCTEXV5P33GREY - must be treated to LPD's instructions. - It is the purchaser's respon­sibility to check the suitability of this Fire Door & its certi­fica­tion, in conjunction with the door-surround, hardware and the situation of use. - We cannot exchange LPD Grey Moulded Textured Fire Doors after order - LPD Textured FD30 5-Panel T&G Effect Pre-Finished Grey Moulded Fire Doors are supplied as a Special Order. E. & O.E. see T&C - We do try to keep prices and specifi­­­­cati­­­­ons of LPD Textured Vertical FD30 5-Panel Grey Moulded Fire Doors correct, but mistakes can be made!